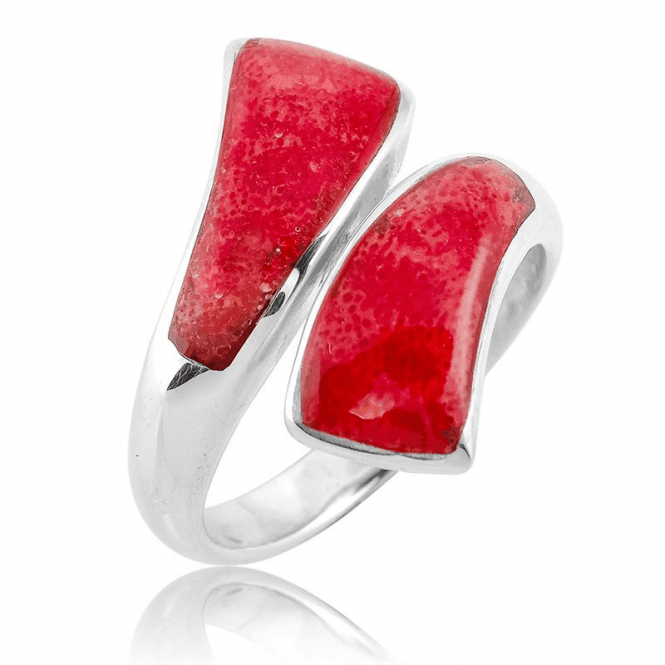 Exclusively from us, this gleaming contemporary design uses a sculptural band of sterling silver to form the crossover of two sumptuous panels of bright coral. Within the polished panels, endless natural textures appear under the smooth polished surface. An intriguing ring that?s so easy to wear, adjusting gently to your perfect fit. ½" wide.